I was a pretty normal kid growing up in rural Kansas, playing sports and being probably an overactive boy. During college, my athletic endeavours were limited to some intramural sports. After college I was pretty much desk-bound as I worked at furthering my career. Prior to CrossFit, I had run several half marathons and one full marathon. I enjoyed running, but found it hard to stay motivated to keep at it, so I eventually stopped running altogether. As the pounds crept up, I knew that I needed some incentive to start moving. I joined the local mega gym and struggled to attend, always feeling like I didn’t belong. Between the bulked up guys in the free weights area and trying to wedge my way onto a treadmill with a 20 minute limit, I never felt comfortable. So the hunt was on. My wife has always been fitness-oriented and encouraged me to find something that appeals to me. 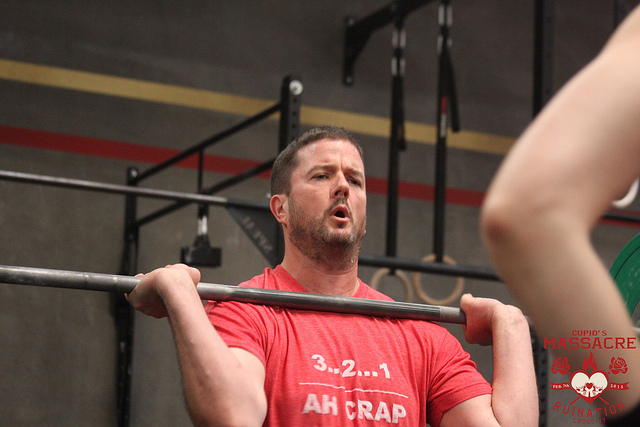 As a 45 year old, I didn’t really know anyone who was active in CrossFit, and most of my friends were adamant that CrossFit was a cult out to injure and maim you. Maybe it was my contrarion attitude, but I decided I wanted to check out this “CrossFit thing”. A few minutes on google and I found out that Ruination CrossFit was just around the corner from my office and offered a free intro class. How could I not go? My free intro class that next Saturday morning was eye opening. The movements were simple, like step up on a block or take this ball and throw it up against the wall and catch it, simple. Well this doesn’t seem that hard. Oh, squat a few times, ok no problem. I went home and realized I was a little fatigued. Two days later, I realized that those simple movements worked a lot of muscles I never use and I was SORE in a very good way. 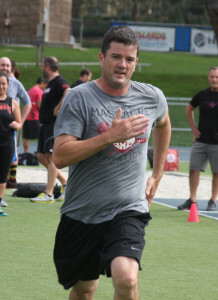 A week later when I was walking better, I joined Ruination CrossFit. During my first month in class, I was absolutely amazed at the things some members could do. Surely these were genetically gifted athletic freaks, how could a normal human being possibly do a handstand pushup or OH MY GOD a muscle up? 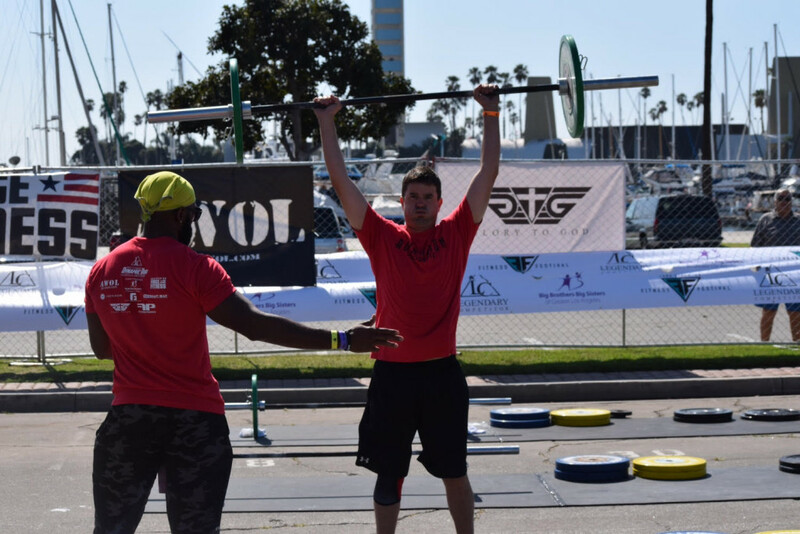 Cleans, Snatches, Back Squats, there were so many things that I didn’t even know what the movement was, let alone how to perform the movement successfully. The coaches were great in helping me get better functionally with the movements and also working with me to modify the movements so that I could successfully complete the workout. Fast forward over 18 months later and I realize how lucky I was. I walked into Ruination and found a box that feels like family and is filled with great members and coaches that are truly top notch. Making sure you work on form and get things right is the priority while the programming is top rate and top tier. Athletes of all levels will find the workouts challenging and rewarding. It is not an exaggeration to say that I was (and still am) in awe of everyone at this box. The thing that amazed me and made me excited for class every day was the enthusiasm that everyone had for CrossFit in general and the Ruination members specifically. I can’t even count the number of times that the strongest, fastest, gymnastiest athlete would tell me, “don’t worry, you will get there” or “try and do this to help make the movement better”. There was no “clique” behavior that was so off putting at the globo gym. Everyone was caring and friendly to the extreme. I have made a lot of great friends, a few of which I am certain I will keep forever. At the end of the day, results are why we do any exercise program. When I started CrossFit, my goal was to lose some weight. As I became more familiar with CrossFit, my goal morphed from “just lose some weight” to “get stronger and become a better athlete”. My time at Ruination has been such a tremendous experience for me. Never before have I been around a sport where oftentimes the most celebrated athlete is the one that struggles to finish a workout, or finally completes a movement for the first time. I can’t even count the number of times I have been cheered on, run with or pushed by the other athletes that had already finished their workout. They could have moved on but display such great community that they sincerely want you to finish and become the best you can be. 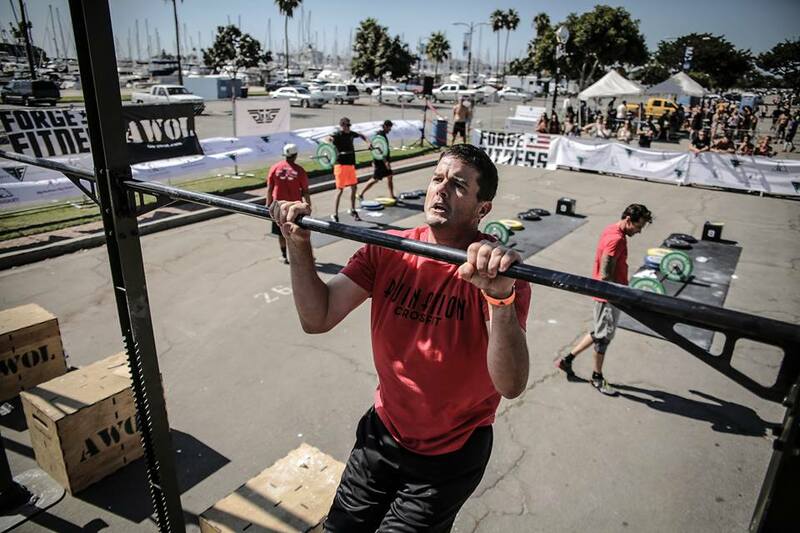 As a prime example of this, I was recently named Ruination CrossFit’s Male Crossfitter of the Year for 2015. This award wasn’t because I was the best athlete (not even close), but because I was consistent in my effort and I have achieved results from those efforts. 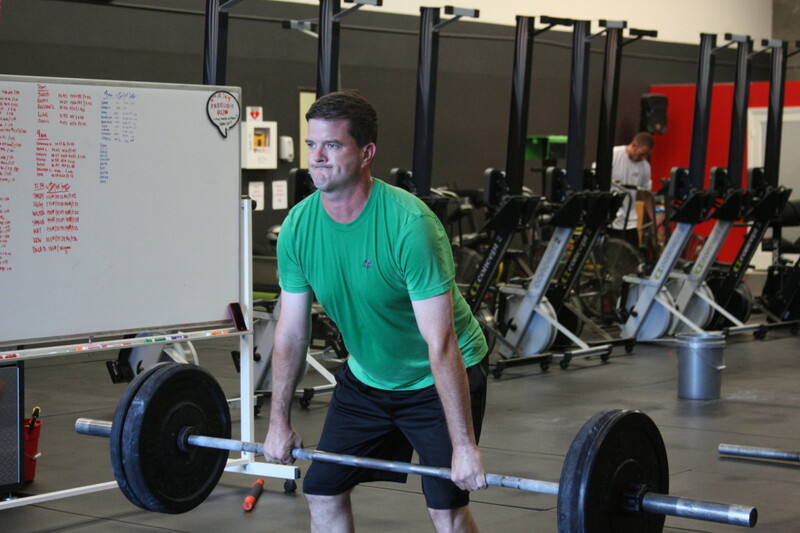 If you are thinking of incorporating some exercise in your life, you won’t regret walking into Ruination CrossFit, but don’t blame me if you find yourself enjoying exercise. Visit our gym today, talk to a coach, try a free class & change your life!